Built during the period of the Ayutthaya Kingdom, this temple boasts beautiful architectural features and porcelain mosaic tiles. Part of the temple was once a rest stop for an Ayutthaya king, King Suriyenthrathibodi. 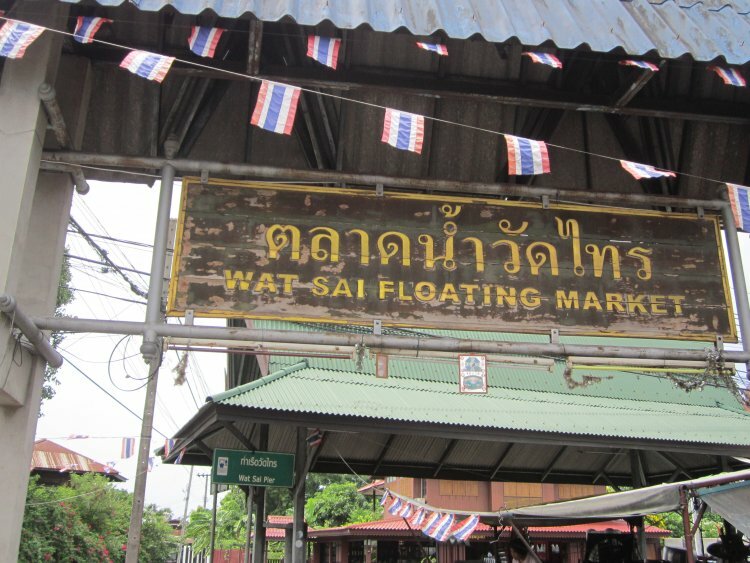 You will see the historic wooden structure as well as the local morning market. This temple is full of amazingly large size statues, such as images of Buddha in a sitting & reclining meditation post and other deities from Thai mythology. We can stop to take pictures from the canal, although we do not usually disembark here. As seen on “Unseen Thailand” published by Tourism Authority of Thailand, this temple is a hidden gem, and its name in Thai means forest temple in mud. It was built sometime in the Ayutthaya period. Before several reconstructions, it was buried in mud and covered with plants. It is still possible to see the ancient spire of the original temple under water next to the canal during very low tide. 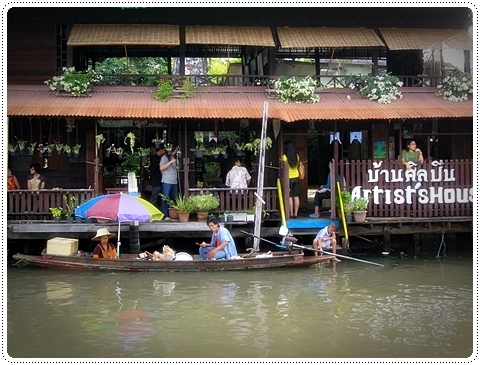 Traditional country style small floating market with the thatched roof, it is truly owned by the local people. Apart from the City, being a center of the locally grown organic produce, this place is packed with lunch crowd comes to enjoy variety of Thai dishes. Don’t miss a coconut ice cream in a real coconut shell as your desert! Orchid and plant exporting is now a big business in Thailand, which is the worlds’ biggest orchid exporter. We will take you to visit a farm in the suburbs of Bangkok. They grow different types of exotic orchid right next to the canal. We can sit and relax among the wonderful flowers. This retro riverside market has been revived and transformed into an artists’ gathering place. It is now home to a branched troupe of famous “Joe Louis” traditional Thai puppet theater. Demonstration of the puppets might be available when they are at the house. Various handcrafts and art classes are also offered.